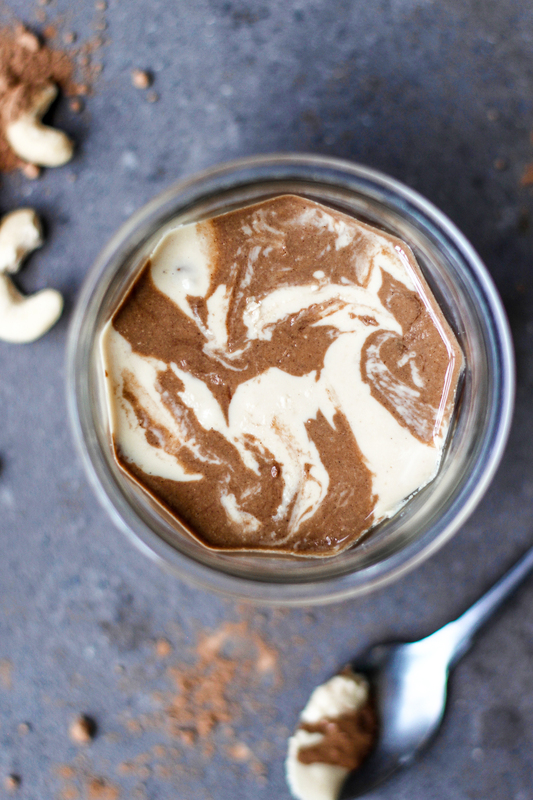 Cashew butter 2.0! This is so delicious and literally only takes one more minute than regular nut butter. I love it just how it is but you can add a spoonful of maple syrup to make it a little bit sweeter if you like. You can try it with other nuts but cashews are my favourite for this one because they’re super creamy. Preheat the oven to 180’C. Spread the cashews out on a roasting tray and roast them for about 8 minutes until golden. Add them to your high powered blender/food processor (I use my Vitamix) with a pinch of sea salt. Blend on high, scraping down the sides every few minutes, until you have a smooth, runny nut butter. How long this takes will depend on your machine but just keep going! Remove half of the cashew butter and set it aside in a bowl. Add the cacao powder to the blender and blend on high until well combined and smooth. You can add a little sweetener here too if you like. Blend until the chocolate cashew butter is nice and runny. 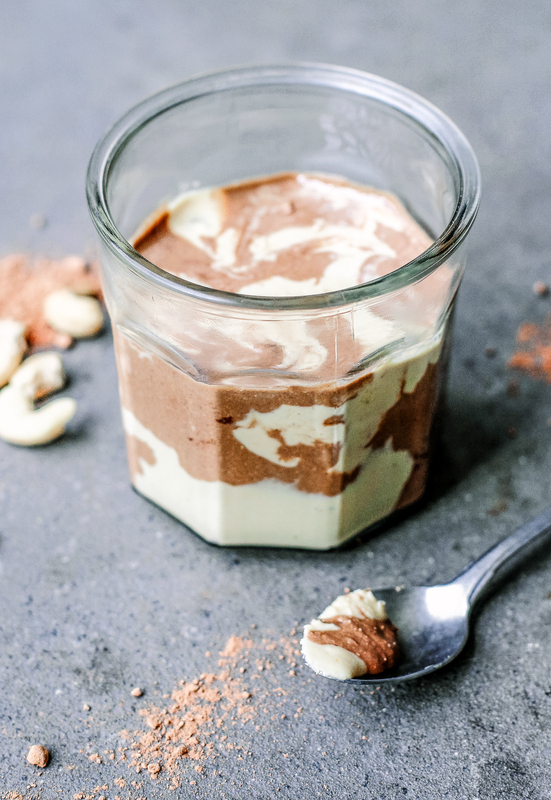 Spoon the cashew butter into your jar, alternating between the chocolate and plain each time. When it’s full, drag a knife through the butter in swirls to marble it. Looks fab! How long will it keep?